With people on airplanes and on the road this week, the risk of influenza is increasing. 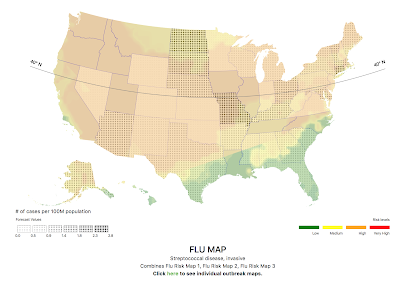 Here is the latest (9a Monday) influenza risk map from Ascel Bio. 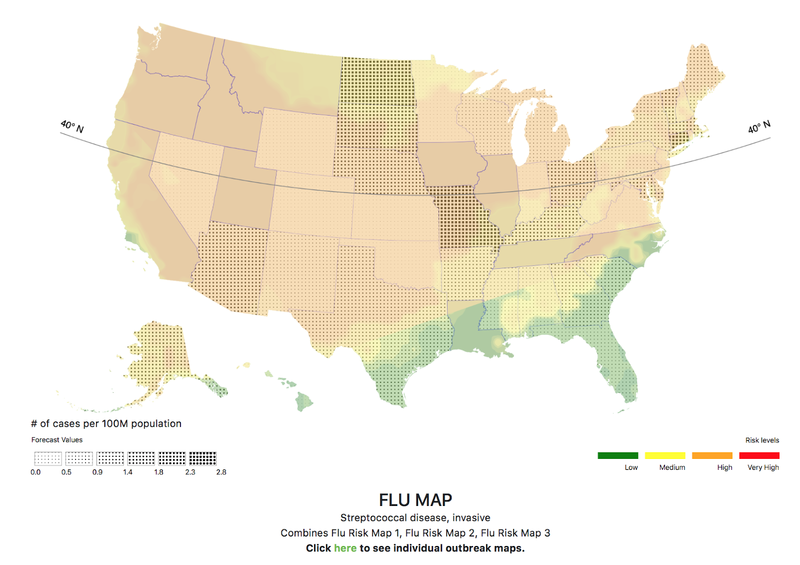 To check updated flu forecasts and Ascel's forecasts for other health conditions, go here. The colors are the relative risk (for this time of year) and the dots represent the forecast number of cases. States like Missouri, Connecticut and North Dakota are at the most risk. So, it is time to begin to practice good hygiene with everyone getting together for the holidays.